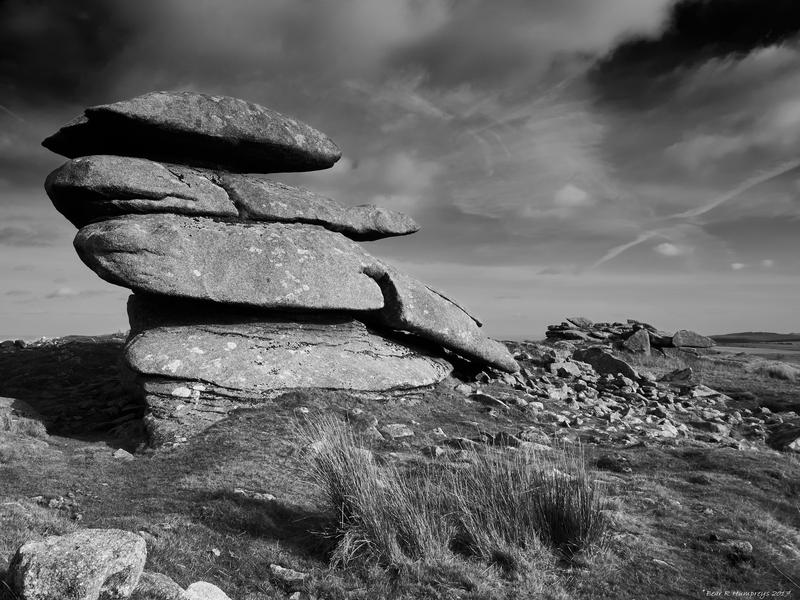 Part of the triumvirate of rocky Tors that make up the summits of the Roughtor hill. The one that looks the most delicately and impossibly arranged, with a few large slabs of granite layered whilst the other Tors have a larger and more numerous scattering. I know I’ve photographed it before, but every time is unique, sky, time and fall of the light etc. I have to say, this is my favourite for so many reasons! Very nice pic. I like that so much……….